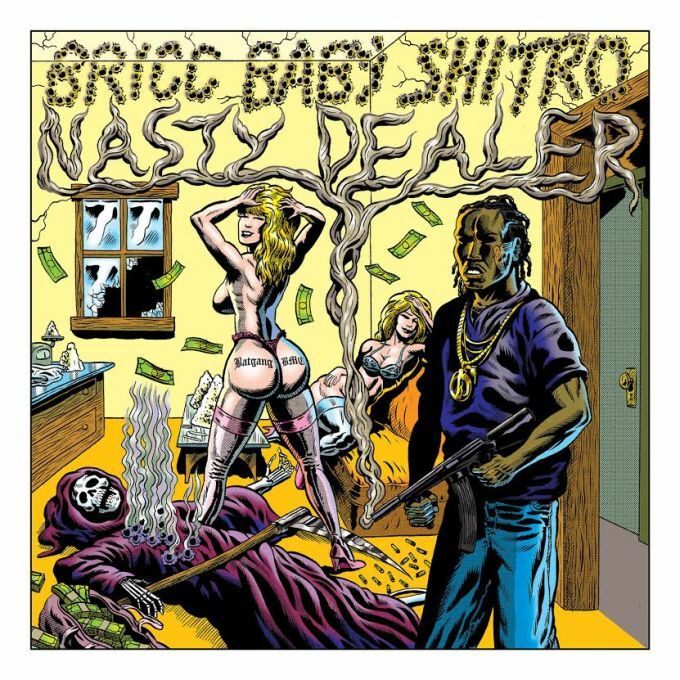 Bricc Baby Shitro (formerly MPA Shitro) grabbed our attention with the monstrous “6 Drugs,” which was notable not just for its instant banger status, but for the fact that it was produced by Sam Tiba, a Bromance affiliate. Bromance is French producer Brodinski’s record label and club-night, and they c0-present Nasty Dealer with Shitro’s own Batgang crew. Nasty Dealer has it’s fair share of beats from stalwarts like Metro Boomin and Sonny Digital, but they’re joined by people like Sam Tiba, Brodinski, Myd, and Richelle, European producers who are better known for making dance music, and who give the project even more of a vicious edge. Highlights include “Piano Cracc,” “Nasty Dealer,” “Thru Wit It” with Young Thug, and “Choppa Music,” and you can check out the whole tracklist and listen to it below. Download the mixtape here.